Red Plum Jam is an fun canning recipe that can be enjoyed for months to come with only a few hours of effort. 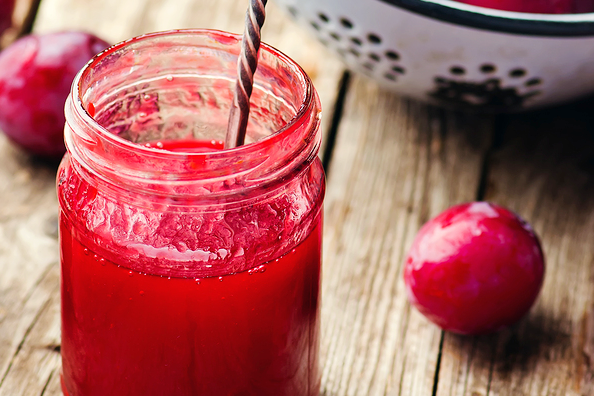 It really is easy, learn how to can Red Plum Jam with this simple recipe! UPDATE: This recipe had a typo regarding the amount of water needed. The amount has been corrected! Red Plum Jam is my daddy’s favorite jam. Oh sure, he likes Strawberry Jam, and Apple Butter… but given his choice, he would eat nothing but Red Plum Jam with his bread! 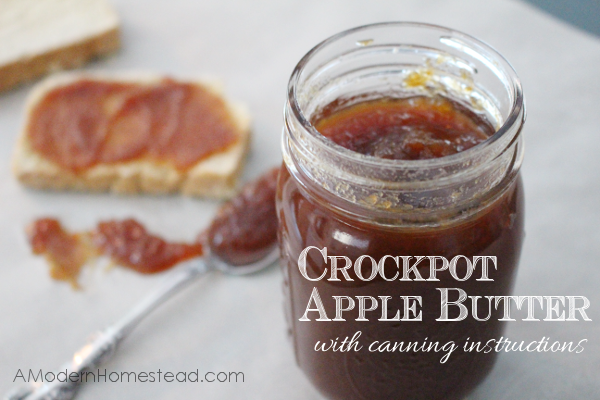 We skipped last year, as I had a 3 month old baby, but usually we can up a punch of this delicious jam for my dad to enjoy over the course of the year! I feel bad that he hasn’t gotten any in a whole year, so we are busting out the water bath canner and prepping to make some jam! Now, I say this is for my dad, but don’t think for a SECOND that he gets to hog it all for himself! 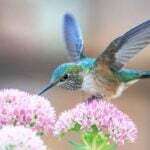 :-) We all love it and usually enjoy it on some homemade sandwich bread or drop biscuits! Check out my Beginner’s Guide to Water Bath Canning! Yields 3 finished pints of Red Plum Jam. Prepare jars according to the water bath canning directions. Chop plums into small-ish pieces. Leave them larger if you like your jam a little more chunky. Combine chopped plums, sugar, and water in a large pot. Bring to a boil slowly, stirring until sugar is completely dissolved. As jam thickens, stir frequently to prevent sticking. Remove from heat. If foam as formed on top, skim it off. Ladle hot jam into jars, leaving a 1/4 inch headspace. 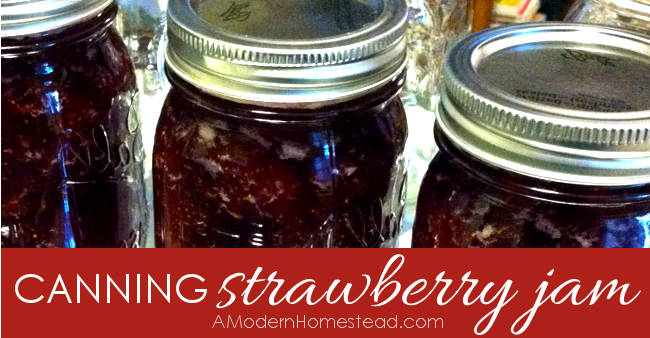 Finish jars and process jam according to water bath canning instructions for 15 minutes. 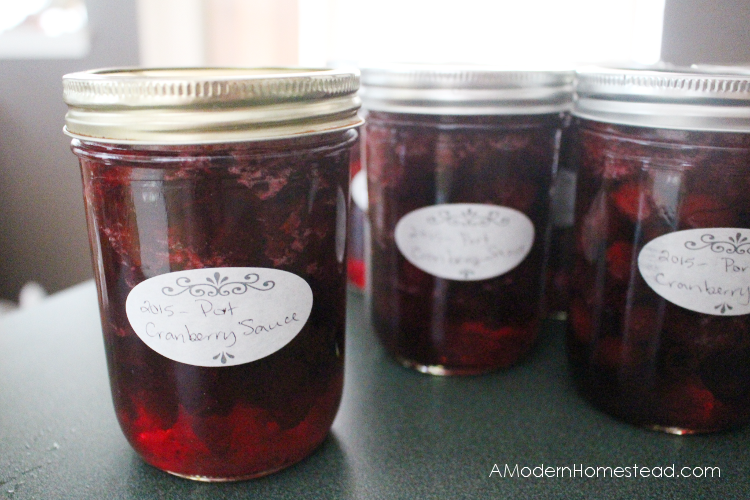 Jams and Jellies must be made in small batches, or the finished product will not set up. I just made this too. I used half the water you said to and it was still runny. I ended up using a half a box of pectin. I think probably just like a half cup of water would do… to help the plums juice or not any at all. It does have great flavor though. I’m a pretty experienced jam maker and I always test the gel before I water bath it. I’m glad I did. It turned out for me with these few tweaks. Oh man Aimee! Thank you for saying something about the water!! That was a major typo! It should have been 3/4 cup of water not 3 1/4! Holy cow! I’ve fixed it now, thank you so much for pointing that out! This set up perfectly for me! I made one batch last week and another this week! It goes fast around here with 3 kids! I just boiled it until it was thick enough, but other than that I didn’t have to make any adjustments to the recipe and it was very thick and delicious! We are in Texas too, maybe that’s why it set up well? No idea, but it sure is yummy! Best red plum jam ever! Thank you Susan! I’m so glad it worked out well for you! We sure love it around here too! I am going too try your plum jam this morning. Hi Diana! I’m so glad, let me know how it goes!! 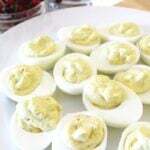 I’m making this recipe today!! Just wondering, I have wild plums (the little cherry looking ones) would the recipe be the same? Or would you change anything? 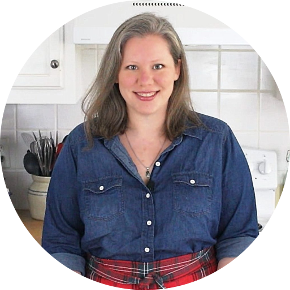 Hi Brittany, after looking into it a bit it looks like you should be able to use the same recipe! You might adjust the sugar amount based on the sweetness of the fruit. Also, depending on their water content you might need to boil longer to achieve gel point. Use the spoon test to make sure it’s ready when boiling! Hope that helps!